The ice-cold waters under the Antarctic ice shelves and the underside of the ice are of great interest to scientists … but who wants to go down there? Leave it to the robots. They do not complain! In fact, two autonomous submarines have been hunting around the ice for a year, producing data unlike any other expedition. The mission began in 2017 with a grant from Paul Allen. With climate change affecting the sea ice around the world, accurate measurements and studies of these frozen climates are more important than ever. Fortunately, robot exploration technology had reached a point where long-term use under and around ice shelves was possible. The project used a proven autonomous maritime craft called Seaglider, which has been in use for some time, but has been redesigned to perform long-term operations in these dark, sealed environments. One of the craft's co-creators, Chris Lee of UW, said of the then mission: "This is a proof-of-concept test for the use of robotic technology in a very risky marine environment." The risks seem to have paid off, as an update of the project shows. The modified ships have covered hundreds of kilometers of autonomous operation over a year. It is not easy to stay on the Antarctic coast for a long time for various reasons. But it is definitely feasible to work robots back while you relax elsewhere for a month or two. "This is the first time we've been able to maintain a lasting presence for over a year," Lee said in a UW press release today. 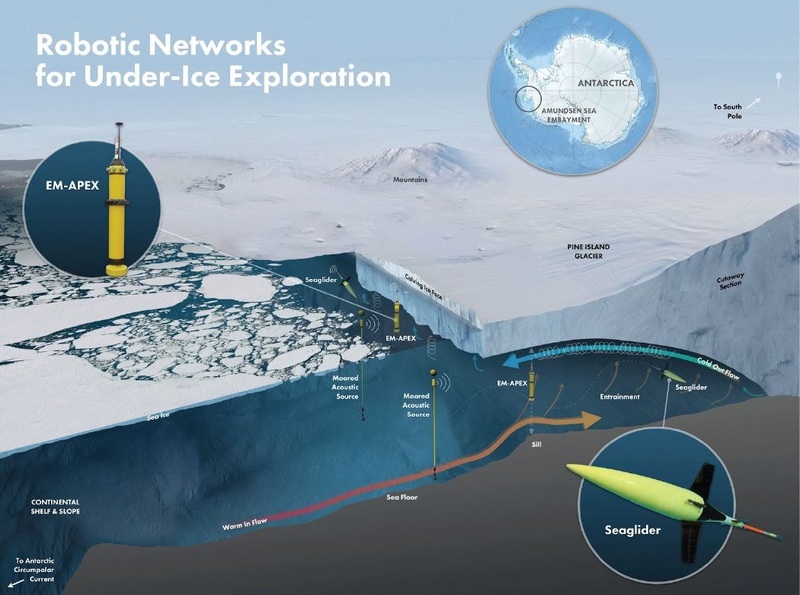 "Gliders were able to navigate at will to inspect the interior of the cavity … This is the first time that any of the modern long-term platforms have made permanent measurements under an ice shelf." They navigate in the dark by monitoring their position with respect to a pair of acoustic ones Underwater beacons that are attached by cable. The blue dots are floats that accompany the natural currents to cover long distances with little or no force. Both are equipped with sensors to monitor the shape of the ice, the water temperature and other interesting data points. It's not the first robot expedition under the ice shelves, but it's definitely the longest and possibly the most fertile. The Seagliders are smaller, lighter and better equipped for long-term use. In a single trip, it was 87 miles. The mission continues and two of the first three seagliders are still operational and ready to continue their work.